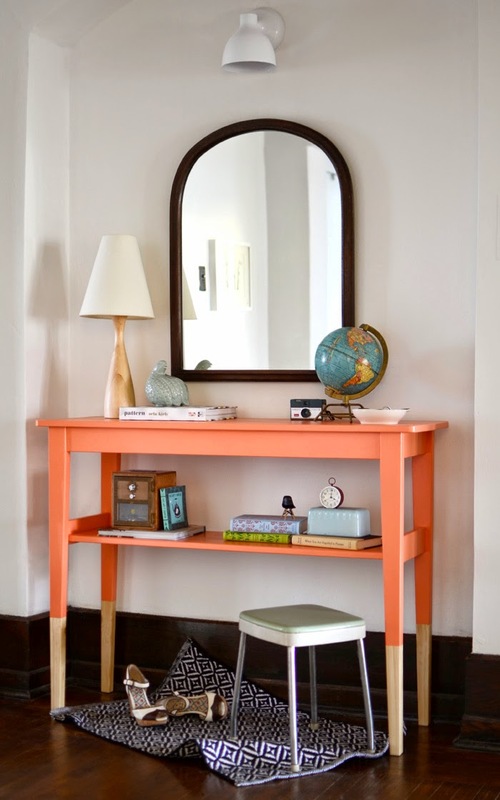 Have you heard of IKEA hacks? 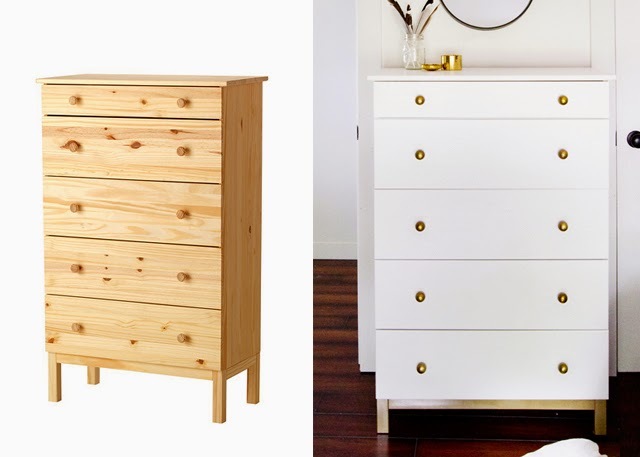 It's when you transform a basic IKEA piece into something that looks totally custom and often much more high-end. We were so impressed by these examples. 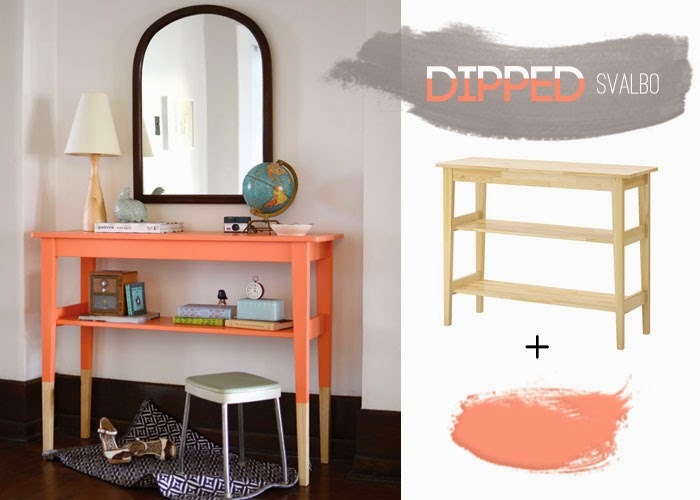 First up, a super easy dip-dyed look in a punchy color to add some personality to your entryway (notice the lower shelf was also removed). Also, the transformation of this very basic, unfinished dresser is really fantastic - the legs were shortened a bit to improve proportion, and the base was painted a metallic gold to match the new brass knobs. 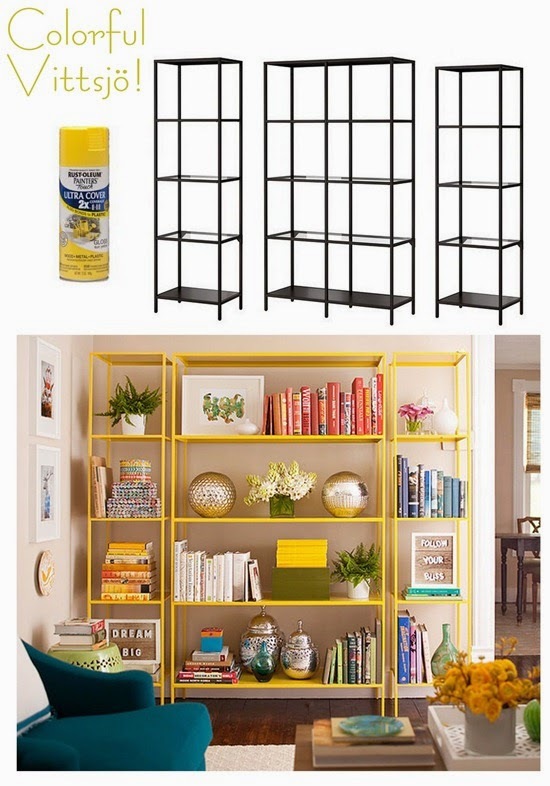 And look how much fun you can have simply with a can of spray paint - the cost of the shelving and paint is a minimal investment for a serious statement piece to fill a large wall.